Tesla, Jaguar and Nissan might be stealing the headlines with their electric cars but could it be the Hyundai Kona Electric that makes people seriously consider opting for a battery-powered vehicle? For a start, it's an excellent family car that's comfortable and nimble, with space to accommodate adults in the front and back. But just as importantly, the Kona Electric is alone amongst relatively affordable electric cars in being able to cover long distances without needing a mid-way recharge. Choose the model with the largest (64 kWh) battery, charge it overnight and you won't even need to think about how much charge is remaining on most journeys. There shouldn't be any worry about running out of power - a phenomenon known as range anxiety. That's because the Kona should manage the 200 miles between London and Leeds without having to nurse it, by driving slowly on motorways for example. Make this your expectation, rather than the car's official 300 mile range figure, and you won't be disappointed. As with all electric cars, the official number doesn't stand up in real-world driving. Pricey Teslas and Jaguar I-Pace aside, the Kona's current rivals - including the Nissan Leaf, Renault Zoe and Volkswagen e-Golf - can't match the Hyundai's range. Neither can the company's other electric car: the Ioniq. They don't have its popular crossover design either, which combines a higher driving position for better visibility and practicality with the comfort and stability of a standard hatchback. If you do need to charge up en route, then the Kona is compatible with high-speed chargers at motorway services, where it will take around 75 minutes for an 80 per cent battery charge. A home fast charger will take just under ten hours to recharge from empty to full. For an electric car with this sort of range, the Kona is cheap: its official price is just under £34,000, which is reduced to less than £30,000 thanks to a government plug-in car grant. Even so, you could buy a petrol version for little more than £16,000. But the price is only one factor. The Kona's running costs are low, as you'll never need to visit a petrol station, while a £300 home charger allows you to take advantage of cheap electricity tariffs. Business users will benefit from cheap company car tax too. Owners don’t have to sacrifice performance, as the Kona Electric is as quick as any family hatchback (quicker, in many instances) and here's little compromise inside either. It's almost identical to the regular petrol-powered car so some of the materials feel a little on the budget side, but overall the soft-touch plastics and silver-grey switchgear create an impression of quality. There's a central display for the entertainment system, Bluetooth and smartphone compatibility, while more expensive variants also feature a head-up display. Three contrast-colour roof options can be combined with seven body colours for 21 possible paint combinations. The head- and leg-room in the back can accommodate six-foot adults and the 332-litre boot space (rising to 1,114 litres with the rear seats folded down) is adequate – not as much as the Nissan Leaf or VW e-Golf, but more than a BMW i3. The battery pack weighs more than 500kg, but has been positioned low down in the car, so the extra weight is less obvious. In fact, the Kona Electric feels more stable, with better grip and agility than the petrol and diesel versions, bringing it close to the nimble i3. It's also comfortable and stable over bumps and broken road surfaces. It all adds up to an electric car that requires very little compromise. If enough drivers can justify the price premium, then the Hyundai could genuinely be the car that kickstarts an electric revolution. The variant of the Kona with the smaller battery, although it has a smaller range, will be quicker to charge (and cheaper if reliant on public charging). The larger battery largely eradicates any ‘range anxiety’ and means families on longer journeys have to stop less frequently to charge the car. August 2018 Orders open in the UK for the Kona Electric. The kWh figure describes the energy capacity of the battery: the larger 64kWh model can store more power and drive further than the 39kWh version. The power is displayed in PS, which is virtually identical to horsepower (hp). There are three trim levels – SE, Premium, and Premium SE – which come with increasing amounts of standard equipment and a correspondingly higher price. Hyundai is offering the Kona Electric with the choice of two different electric powertrains. The standard-range lithium ion battery has a 39.2kWh capacity and enables the motor to produce 136PS, which results in a 9.7-second 0-62mph time. The official range – which has been calculated using the new WLTP testing regime – is 194 miles and takes six hours and 10 minutes to charge using a standard AC charger, or 54 minutes (80% of full charge) using a 100kW DC fast charger. This version will work well for buyers who mostly use a car around town and rarely travel longer distances. However, Hyundai expects most buyers to choose the larger-capacity 64kWh powertrain, which offers greater performance, in the form of 204PS and a 7.6-second 0-62mpg time, as well as a 300-mile range. The larger battery pack takes nine hours and 35 minutes to charge (AC), 54 minutes (for 80%) with a 100kW DC charger or 75 minutes with a 50kW unit. This version of the Kona feels quick from a standing start, has plenty of power to overtake comfortably in most circumstances (including on the motorway) and while the real-world range will be a lot less, over 200 miles should be possible without having to make too many compromises in driving style. The base SE level – which is only available with the 39kWh battery – is well specified, with a number of safety features, including Autonomous Emergency Braking with Pedestrian Recognition, Forward Collision Warning, Hill Start Assist Control, Lane Keep Assist, Smart Cruise Control and Tyre Pressure Monitoring System with individual tyre pressure display. In addition, there’s a 7-inch display, DAB, smartphone compatibility (including Apple CarPlay and Android Auto), rear parking sensors with rear view camera, Bluetooth, automatic lights, climate control, driver’s side electric lumbar support and keyless entry. Premium cars add to the SE specification with the addition of privacy glass, LED rear lights, front parking sensors, auto dimming rear mirror and automatic windscreen wipers, 8-inch touchscreen, a Krell audio system with eight speakers and wireless charging (for compatible smartphones). The range-topping Premium SE cars also have LED headlights with High Beam Assist, static cornering lights, a head up display, leather seat facings, electrically adjustable and heated/ventilated front seats and heated steering wheel. As a brand new model, it's too early to say just how reliable the Kona Electric is likely to be. However, the fact that electric cars have considerably fewer moving parts than cars powered by an internal combustion engine is a good sign that the Kona Electric will spend little time on a ramp. Hyundai’s five-year, unlimited mileage, triple care warranty (which includes servicing, roadside support and annual health checks) package should also offer plenty of peace of mind to buyers. 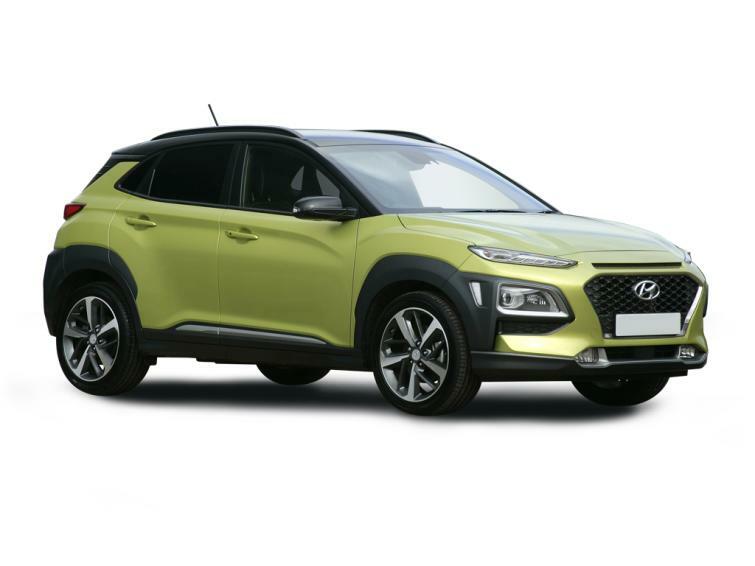 The Kona Electric is yet to go on sale, at time of writing, and Hyundai is expecting demand to outstrip supply initially, so it’s unlikely that there will be any used or nearly examples available at a bargain price anytime soon. Indeed, used values are expected to be high, which will benefit anyone buying with Personal Contract Purchase (PCP) finance, but won’t result in any used cash bargains for some time. And when Hyundai’s five-year warranty (which is transferable to subsequent owners) is factored into the equation, there seems little chance of picking up a discounted Kona Electric within the first few years. The 332-litre boot space (rising to 1,114 litres with the rear seats folded down) is adequate – not as much as the Leaf or e-Golf, but more than an i3.